We’ve all had those players. The ones who make coaching feel like a chore rather than something we enjoy; the one who generally just rubs you up the wrong way even with the smallest of things. With ‘disruptive talent’ – individuals who think and act differently, challenging authority and conventional ideas – becoming an increasingly popular phrase in business psychology, it doesn’t exercise the brain too much to think of examples in sport. Kevin Pietersen, Roy Keane, Mario Balotelli and Nick Kyrgios are the first in what could be a very long list of sportspeople who demonstrate undesirable characteristics, yet possess considerable ability. Regardless of an individual’s characteristics coaches are expected to manage such behaviours so as not to reduce the likelihood of team or national success. But where is the line between accepting a certain behaviour (and managing it), and not tolerating it at all? What sets off the alarm bells for you as the coach in your school, club or county environment? In my experience with young sportspeople, any combination or constant repetition of the following should have you concerned about a player. When your session comes to a close, some players are prone to staying on to continue individual skills practice, some prefer to pack up and go. The key words there? Pack up and go. There are a lot of players who are too willing to have everything set up for them, only to be halfway back to the changing rooms in record time at the mention of collecting cones or bibs. An unwillingness to help out your teammates or coach in a task no one really wants to do can so very easily be translatable to the playing environment. Whether it’s the unwillingness to track back and mark your runner or going to do that extra gym session in your own time to stay on track with the team fitness, a lack of commitment to the team even in the small things speaks volumes. A few years ago at the start of one season, in one of the first sessions with my squad I informed them they were going to partake in the much dreaded yoyo test. There was the inevitable collective grumble around but the guys knew they didn’t really have a say in the matter. No benchmark or standard was set; the only instruction was to pull out when you couldn’t reach the next level after your mandatory two warnings. Our squad comprised of some relatively fit lads, some who were lacking fitness (including myself! ), and a few lads who weren’t in the best shape. The results might surprise you. Put aside the level each player got, what was most telling was that the two guys who were in the worst shape were on the verge of collapsing from exhaustion when they finished. Too many of the group, although finishing with a much higher score were laughing and joking two minutes after they’d finished. What I learnt from this? The two unfit lads were willing to push themselves to their maximum capabilities, whereas the large majority were not. They dropped out as things started to get tough, when they needed to dig in to their reserves. It was no coincidence that those two lads who worked hard were pivotal in the team’s performance for the rest of that year. There are few things more frustrating than a player being constantly late. Being late equates to not being organised enough, to not deeming something important enough to be on time for. The same applies to one’s dress – why would you not want to look the part? If you don’t look the part, chances are you won’t feel like or play like the part you’re supposed to be. What about personal standards and having a desire and responsibility to maintain a certain standard, in your conduct, your practice and your preparation. Too many young players become frustrated and demotivated because they haven’t performed on the pitch as they would like to. They didn’t hit the ball as well as they’d have liked, or served as they wanted to, or shot as accurately as they should have. Why not? Was it because they didn’t push themselves hard enough in practice? Did they turn up half an hour early before everyone else to specifically practise it? No they didn’t. You reap what you sow might be an old clique but it still rings true to this day. Unrealistic expectations of one’s capabilities are still extremely common in players, and indeed parents too. Ultimately it comes down to how hard a player is willing to work to be successful. I find it fascinating when I have the opportunity to go and watch amateur football, especially when one team goes 1-0 down. So often there are one or two players that go ballistic at one of their teammates for not doing something they should have. Sometimes they’re right. Most of the time they’re completely wrong. In fact some of the excuses that are made to cover their own role in the mistake are comical. There are always times in sport when things don’t go your way – that is inevitable. 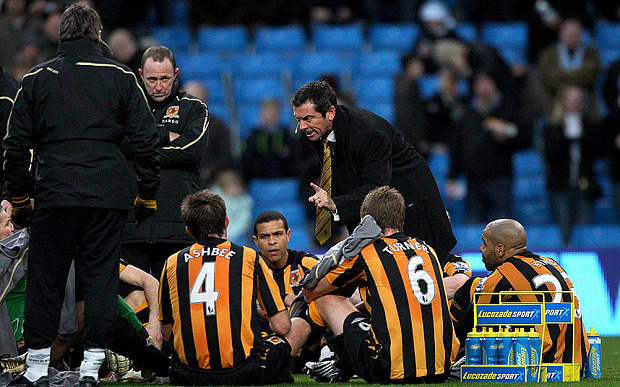 How your players react during those times however is hugely fundamental to long term success. The player that decides to constantly moan at the first sign of trouble is not going to be healthy for the team – they are more likely to drop their head, not continue their sporting duties as they have done and increase the chances of things going from bad to worse. How about those players that rally behind the team when the go 1-0 down; how about those that give their partner a slap on the back when they can’t find their serve. They are the players that demonstrate true leadership traits, and are the ones you never have to worry about. Don’t get me wrong, everybody is prone to a moan – I would be lying if I said I’ve never done it. In fact some might say I still do from time to time! All of these things mentioned can occur every now and then. For some players however, it is more of a habit than others.